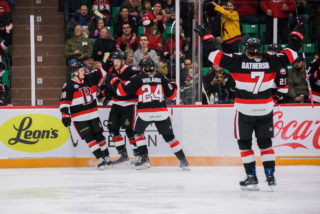 The Belleville Senators return home for a four game homestand that opens with a North Division contest against Utica. 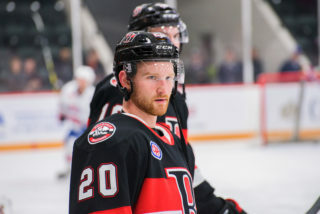 Belleville (9-11-1-0) dropped a 2-1 decision to Laval Wednesday night, a loss that saw them slip to seventh in the North but only two points behind fourth placed Binghamton for a playoff spot. 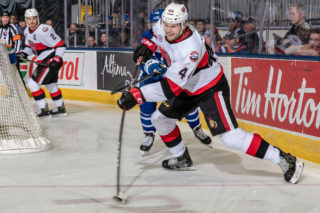 The Senators have lost three straight but are still not having too many issues scoring as their 65 goals are tied for the third most in the division. The Sens do however have the fifth worse penalty kill in the AHL. Utica (9-11-1-1) had its three-game winning streak snapped Wednesday against Binghamton and currently sit one spot better than Belleville in the North. The Comets have leaked goals all season as they’ve conceded 81 times this year, the second most in the AHL. Something will have to give tonight as Belleville has a winning record at home while the Comets are better on the road than in their own rink. 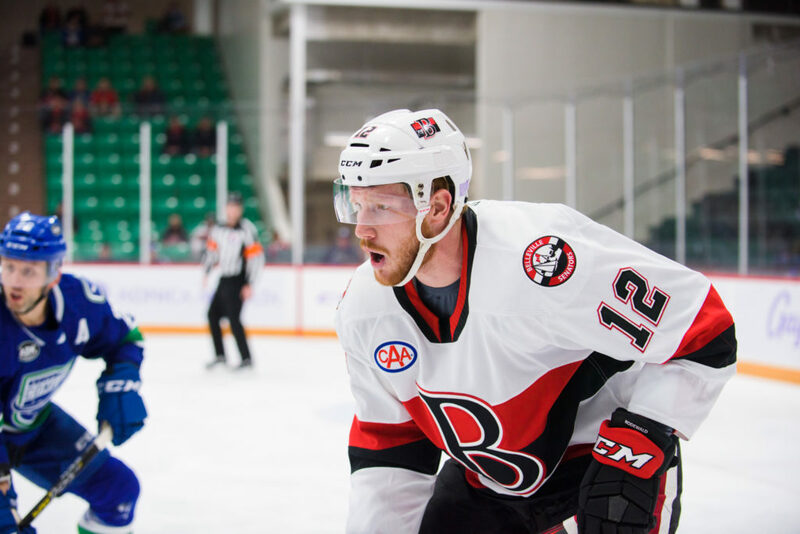 The Senators made two moves Thursday as the team recalled d-man Jonathan Racine from the Brampton Beast and also loaned goaltender Jake Paterson back to the Beast. 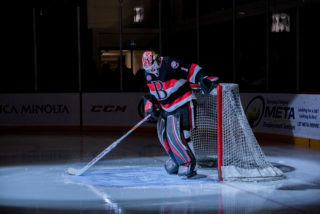 No word on who will start tonight for Belleville but with it being a back-to-back, signs point towards Filip Gustavsson and a returning Marcus Hogberg to get a start each. These two teams have seem a lot of each other early on this year as this is the fourth match-up already this season with the Sens having gone 1-2 so far. The home team has won every contest so far this season. 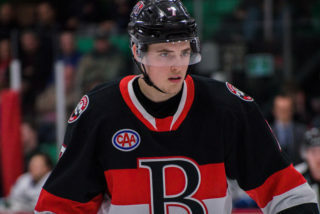 Sens rookie forward Logan Brown has points in back-to-back games including scoring Belleville’s lone goal Wednesday night. Brown has three points (two goals) in seven games this season. Comets forward Michael Carcone has six points in his last four games, two of which came against Belleville. The 22-year-old has six goals and 14 points in 18 games this season. 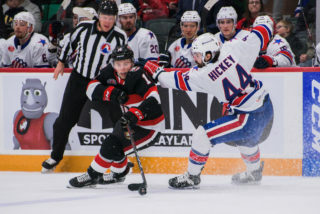 Friday’s game starts at 7:00pm and can be seen on AHLTV. Fans can also watch tonight’s contest at Shoeless Joe’s in Belleville.